Welcome to the 2016 Gridiron Developmental Football League and National Championship in Memphis, TN. This year’s Gridiron Bowl VII will be held at Charles Greenhill Stadium in Memphis, TN. Approved media credentials are required when covering events and games during the Gridiron Developmental Football League National Championship Weekend, including the Gridiron Bowl. Upon entering the facility, Legends Field will honor all approved media credentials. 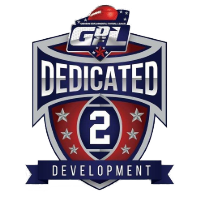 For media credentials, please contact the GDFL Sports Network Media Center email: info@gdfl.org. Credentialed media and photographers will have access to the GDFL Sports Network Media Room, towers between fields and on-field access. The GDFL Sports Network Media Room is located inside the press-box. Only credentialed media will be authorized to these press-box. It is GDFL Sports Network policy not to keep stats on any individual players. Post-game team statistics will be provided, but individual statistics will not be. Should a journalist require individual game statistics, it is the responsibility of that journalist to keep them. Video News Releases will be sent by the GDFL Sports Network Media Relations Departments on TBA (*Subject to Change). Coordinates will be posted as they become available. Photographers must have credentials in order to be allowed on-field for still photography. Photographers will be permitted on the field before and after the game. GDFL Sports Network, Inc. reserves the right to deny photographers their privileges if any or all of media guidelines are broken. PLEASE NOTE: Images taken at the Gridiron Bowl may not be sold for profit without the expressed written consent of Gridiron Developmental Football League, Inc. And are for media use only. Any unauthorized distribution of still or video photography without the written consent of the GDFL Sports Network will be punishable under Tennessee laws. Wireless internet access is available in the media room and press-box.